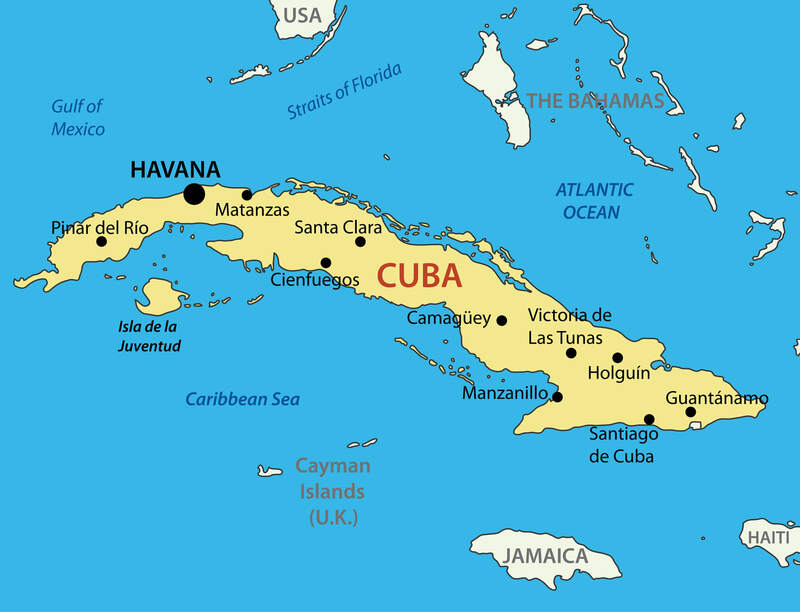 Navigate Cuba map, satellite images of the Cuba, states, largest cities, political map, capitals and physical maps. With interactive Cuba Map, view regional highways maps, road situations, transportation, lodging guide, geographical map, physical maps and more information. 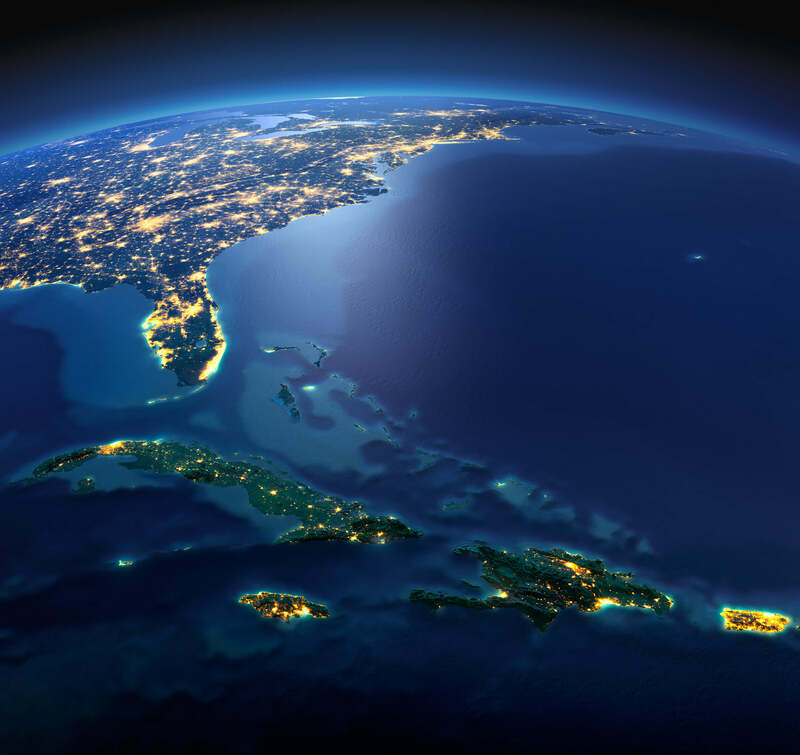 On Cuba Map, you can view all states, regions, cities, towns, districts, avenues, streets and popular centers' satellite, sketch and terrain maps. Cuba shaded relief map. Surrounding territory greyed out. Colored according to vegetation. Includes clip path for the state area. 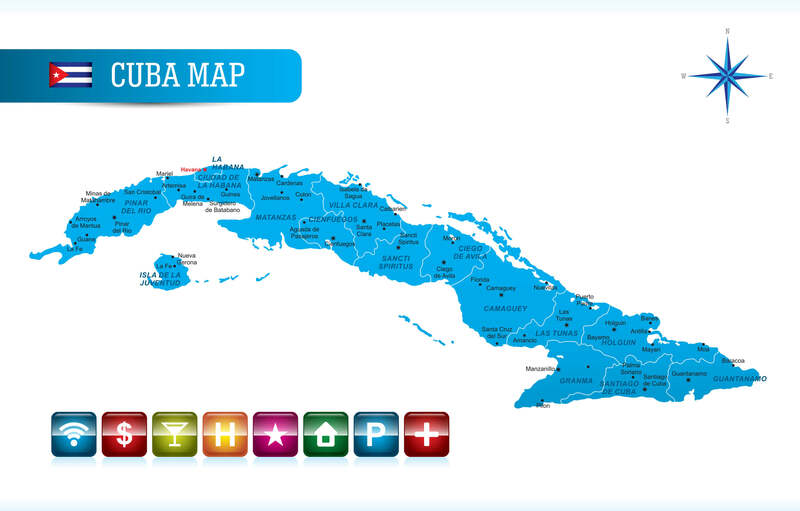 Cuba Political Map with capital Havana, national borders, most important cities and rivers. English labeling and scaling. 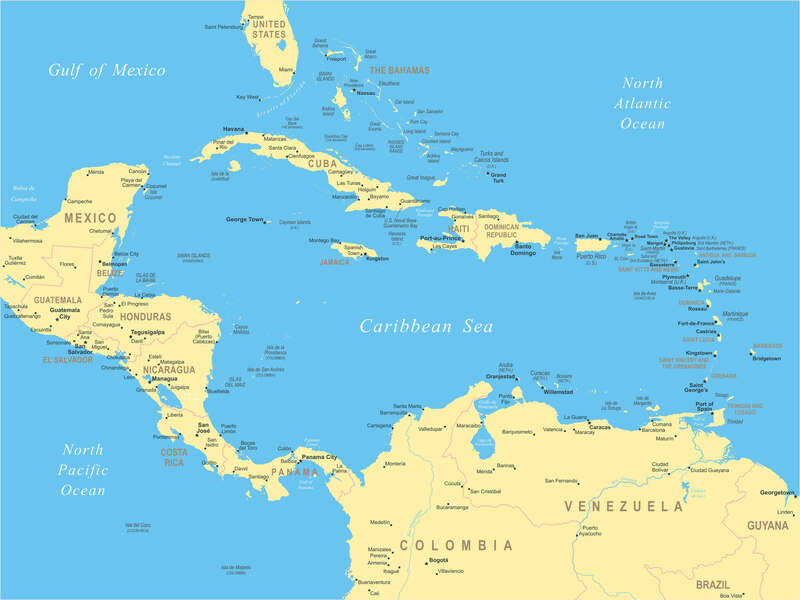 Highly Central America map highly detailed vector illustration. Night planet Earth with precise detailed relief and city lights illuminated by moonlight. 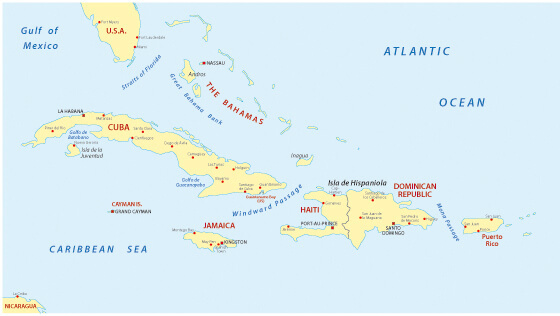 South America, Cuba, Caribbean islands, Haiti, Jamaica. A large and detailed map of Cuba with all provinces and main cities. High detail map of Central america, with a 3D Globe centered on these countries.